When Alberich took a stand for what he believed in-and defected-he was chosen by one of the magical Companion horses…to serve the queen of Valdemar. Thoughts: Lackey continues her foray into character studies with one of the most interesting characters she ever wrote (at least in my opinion): Alberich. He’s seen in bits and pieces through other novels along the Valdemar timeline, the Collegium’s Weaponsmaster and resident talks-like-Yoda guy, but before this exploration, little was known about him beyond the fact that he’s a hard taskmaster and that he was originally from Karse, Valdemar’s ancient enemy. The story starts with Alberich still in Karse, prior to being Chosen, where he’s in a good position in the army and struggling to hide Gifts which could get him killed if revealed. And naturally, he’s discovered, and put to death by purifying fire. He is rescued, of course, by his Companion Kantor, and whisked across the border to Valdemar, where he is met with a less-than-friendly reception. The first part of this book is largely a coming-of-age type of story, in which Alberich is not only trying to recover from the burns and injuries sustained at the hands of the people he once fought for, but also coming to grips with the fact that Valdemar and Heralds are not evil as he had been taught all his life. Trying to reconcile that the world is not as he thought, as well as discovering just who and what that makes him, takes up a great deal of the first half of the book. Those who enjoy a good bit of introspection and character development will love this, as it goes into great detail about a man we have only seen glimpses of previously. The second half of the book has far more action in it. Karse has hired the Tedrel mercenaries, enough soldiers-for-hire to populate a nation, and has sent them after Valdemar. And Alberich is stuck in Haven, unable to fight on the front lines due to accusations of divided loyalty between his new life as a Herald and his old life in Karse. But when push comes to shove, he’s sent into battle, along with every other available Herald (including the monarch and heir to the throne) to fight for their lives and freedom. Much of the instrospection is left behind in favour of the grim realities of war. Though true to Lackey’s typical style, things don’t get too grim, and while there’s a well-deserved sense of tension and urgency, it’s still easy enough to step back and understand that what you’re reading is almost an idealized version of war. People die, and messily, but it’s still somewhat sanitized. The good guys will win because the good guys win. Definitely something to read if you want your spirits bolstered, but to be avoided if what you’re looking for is a realistic portrayal of a battlefield. Like Brightly Burning and Take a Thief, this character study novel is a fascinating one, very fun and swift to read, whether or not you’re reading the action of fighting or the circular thoughts of a very confused man. And unlike both of those novels, this one plays a very central role in understanding vital pieces of Valdemaran history. What Brightly Burning did to reveal more details about passing mentions of events, Exile’s Honor did better, and it shows in the way that this book grabs you and doesn’t let you go. 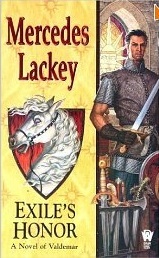 Of all the character study novels that Lackey has written in this world, I wholeheartedly recommend this (and it’s sequel, Exile’s Valor) to just about anyone. It stands on its own and also provides great detail into a fictional country I have come to know and love so much. If you liked the first trilogy, then I can just about guarantee you’ll like later books in the series. Comparatively, the first trilogy has a rather unpolished writing style and feels a bit flat. Things definitely pick up as they go, and it’s a lot of fun to see how her writing has improved over the years. 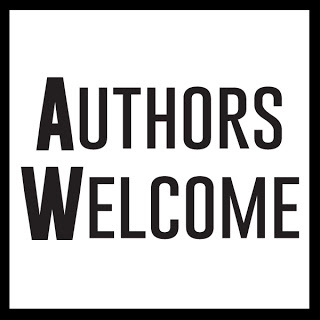 Any books received by the publisher or author for review will be noted as such. Any books without this notification are owned by me or were borrowed from friends or the library. All reviews here are my honest opinion, uninfluenced by the manner in which I obtained the book, and no money was provided in exchange for me writing said reviews.